Presenting a higher education case study from Mexico City on how to teach a undergraduate qualitative research course using online and e-learning technology (via BlackBoard) and face-to-face instruction, to foster creativity within the process of learning acquisition of qualitative research methodology tools (to gather and analyze qualitative data). A Blended Learning approach was used to delivery and to teach this course. The intention of this paper presentation is comment on the best teaching practices and strategies used to make meaningful the learning process of a highly complicated issues related to qualitative theories and paradigms (e.g., ethno-methodology, naturalistic inquiry, constructivism, and so on)- to undergraduate students at university level. “Blended Learning” is widely used nowadays in many higher education institutions; qualitative research courses do not escape from this trend, and they must be addressed in the best way to overcome the distance education technology interface and interaction problems. Mortera-Gutiérrez, F. (2007). Fostering Creativity in a Qualitative Research Course Using BlackBoard with a Blended Learning Approach: Best Practices. In C. Montgomerie & J. Seale (Eds. ), Proceedings of ED-MEDIA 2007--World Conference on Educational Multimedia, Hypermedia & Telecommunications (pp. 1678-1683). Vancouver, Canada: Association for the Advancement of Computing in Education (AACE). Retrieved April 21, 2019 from https://www.learntechlib.org/primary/p/25597/. Barbour, M. And Cooze, M. (2004). Learning styles and web-based design for secondary students. In G. Richards (Ed. ), Proceedings of World Conference on E-Learning inCorporate, Government, Healthcare, and Higher Education 2004. Chesapeake, VA: AACE. Bardzell, J. And Bardzell, S. (2005). Fostering creativity in learning media: Applying insights learned from creative design software. Proceedings of Word Conference on Educational Multimedia, Hypermedia and Telecommunications 2005. Chesapeake, VA: AACE. Bonk, C. And Reynolds, T. (1997). Learner-centered web instruction for higher-order thinking, teamwork, and apprenticeship. In B.H. 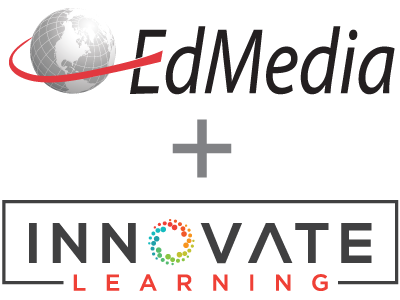 Khan, ed., Web-based instruction. Inglewood Cliffs, New Jersey: Educational Technology Publications. Dunn, R. (1986). Learning styles: State of the science. Theory into Practice, 24(1), 10-19. Grasha, A. (1996). Teaching with style. Pittsburgh, PA: Alliance. ILSR. (2006). Institute for learning styles research. Online http://www.learningstyles.org (Retrieved September 29th, 2006). Kerres, M., & DeWitt, C. (2003). A didactical framework for the design of blended learning arrangements. Journal of Educational Media 28(2-3), 101-113. Kumar, P., Kumar, A, and Smart, K. (2004). Impact of instructional methods and technology on student learning styles. Proceedings of Word Conference on Educational Multimedia, Hypermedia and Telecommunications 2004. Chesapeake, VA: AACE. Lareau, A. (1987). Teaching qualitative methods: The role of classroom activities. Educational and Urban Society, 20(1), 86-120. Osguthorpe, R.T., and Graham, C.R. (2003). Blended learning environments: Definitions and directions. The Quarterly Review of Distance Education, 4(3), pp. 227-233. Reisburg. (2001). Cognition: Exploring the science of the mind. New York, NY: Norton. Sarasin, L.C. (1999). Learning style perspectives impact in the classroom. Madison, WI: Atwood Publishing. Schank, R. (2002). Designing world-classe-learning: How IBM, GE, Harvard business school and Columbia University are succeeding at e-learning. New York, NY: McGraw-Hill. Tinker, R. (2001). E-learning quality: The concord model for learning from a distance. NASSP Bulletin, 85(628), 36-46.